It was in the 14th century that the Stabat Mater text was popularized by travellers singing from town to town in Europe. It was only much later, however, that the text found its way into the Roman Liturgy, after it had first appeared in a 1495 edition of Italian poems by Jacopone da Todi. In 1727 Pope Benedict XIII extended the text to the universal Church under the title Septem Dolorum BMV (“The Seven Sorrows of the Blessed Virgin Mary”) which was celebrated on the Friday after Passion Sunday. Emanuele d’Astorga (1680 – 1757) was born in Augusta, Sicily. Robert King, the editor of this publication, suggests that Astorga “was one of the most colourful figures in early eighteenth-century music.” Astorga, a professional musician who later became a composer, is well-known for his chamber cantatas. His setting of the Stabat Mater is perhaps his most enduring work and illustrates typical musical traits from the Baroque period. 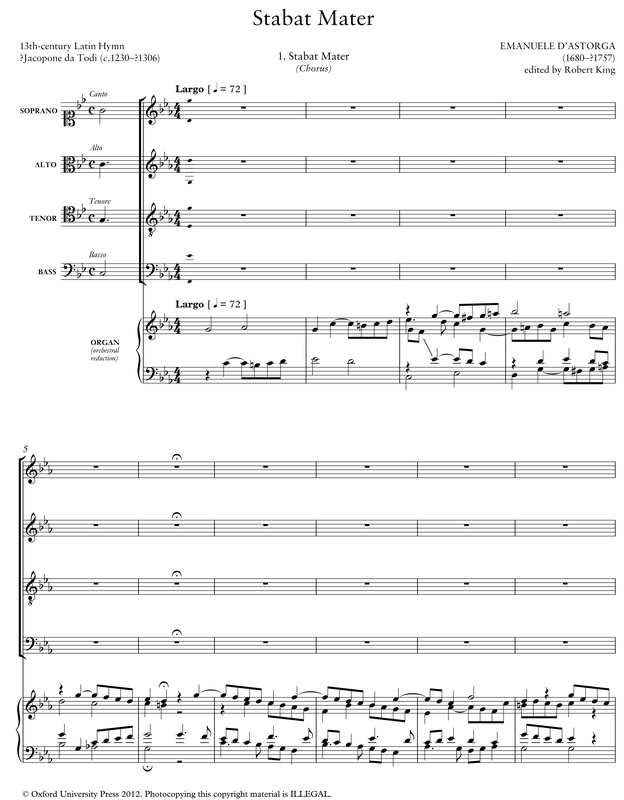 Scored for a solo quartet (SATB), mixed choir, strings and organ, this edition is part of the Classical Choral Works series and is produced for the non-specialist choir allowing the notation to be uncluttered and easily viewed. The barring, time and key signatures are written in a modern, standard way. The keyboard part has been created in a playable form and at times simplified. The work is divided into 9 parts with the chorus movements appearing as pillars in movements 1, 4, 7, and 9. The motivic material in the first movement, Stabat Mater, with its descending 5th then rising minor 6th interval – which emerge out of the combined sustained notes of the sopranos and altos in the opening section – evokes the lamenting of Mary beside the cross. This musical material is gently passed from one voice part to the next as Astorga establishes the sorrow of the scene. So precisely set to the words pertransivit gladius (a sword pierced through), Astorga creates a rising chromatic line in the lower voice part while the top voice line descends, creating a sense of the sword piercing the flesh as it enters. 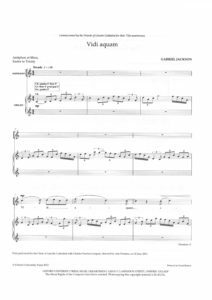 The work is approximately 30 minutes in length and can be performed with a string quartet accompaniment, or small string orchestra, with the suggestion of the addition of a theorbo to the chamber organ continuo part. The work is simple enough in its setting of the chorus parts and yet Astorga’s writing allows us to experience the intense nature of this text. Astorga’s Stabat Mater is not often performed;, however, with the publishing of Robert King’s edition, it would be the perfect choice for the Easter season. Will Todd’s output ranges from large scale oratorios to smaller scale pieces to his jazz mass setting Mass in Blue, which was premiered in 2003. His works are published by Tyalgum Press, Boosey & Hawkes and Oxford University Press (OUP). 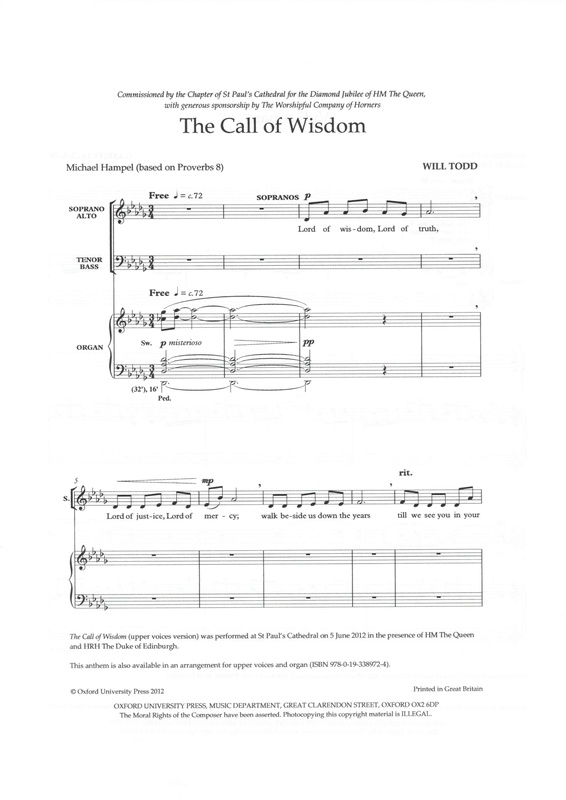 The Call of Wisdom is one of his pieces published by OUP and available in both a SS (or SA) setting as well as an SATB setting. Both settings are accompanied by organ. The piece was commissioned by St Paul’s Cathedral for the Diamond Jubilee Thanksgiving Service this year, and appears to be unique in that it is beautifully simple in its make-up, yet stunning to the listener in its effect. A single vocal line begins with an eight bar melody that ranges no more than a 6th and is elegantly simple in character. In contrast to this first melody, the second melody begins with a glorious major 7th providing quite a contrast to the first melody. This opening interval is delightfully melodious as the ninth in the harmony provided by the organ part. Again only eight bars in length, these two sets of melodic material are the basis for the whole piece as it interchanges each section, at times adding a flowing descant line above. 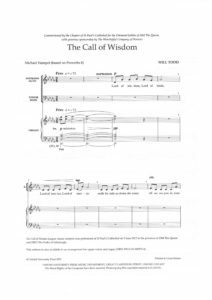 The text is by Michael Hampel who has used biblical passages from Proverbs 8, and at just four minutes in length, this piece would fit into a programme of sacred music to cleanse the palate of the listener; or it would work equally well in a secular programme. Todd states that his music is about bringing people together. 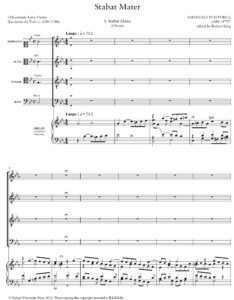 I think this piece does just this, simple enough for a church choir to perform with much attention to creating beautiful phrases, and a children’s choir could be a beautiful addition to the unison lines. The music of Gabriel Jackson is regularly performed and recorded worldwide. As Associate Composer to the BBC Singers, he has composed several substantial commissions. Jackson’s Vidi aquam was commissioned by the Friends of Lincoln cathedral for their 75th anniversary. It combines the texts of the Vidi aquam, the antiphon sung during the Paschal season, with Confitemini Domino and finishes with the Gloria Patri. Accompanied by the gentle rippling of water created by the organ part, the melismatic character of the soprano opening line avoids all sense of the barline, creating a chant-like feel even though Jackson does not utilize the Vidi aquam chant itself. The upper voices respond each time with an Alleluia. It is not until the complete text of the Vidi aquam is sung that the men enter with the Confitemini text. The abrupt rhythmic contrast of this section is short-lived as it melts into the text Quoniam in saeculum misericordia eius. This section is certainly a highlight with its harmonic movement, which seems to be continuously resolving. The closing Gloria Patri section returns to the character of the first, however, rather than sensing the gentle competition of the duplet feel in the vocal line to the triplet feel in the accompanying organ part; the vocal lines give in to the triplet feel joining the organ in this last fragment. The voices join together for a final homophonic closure to the piece. 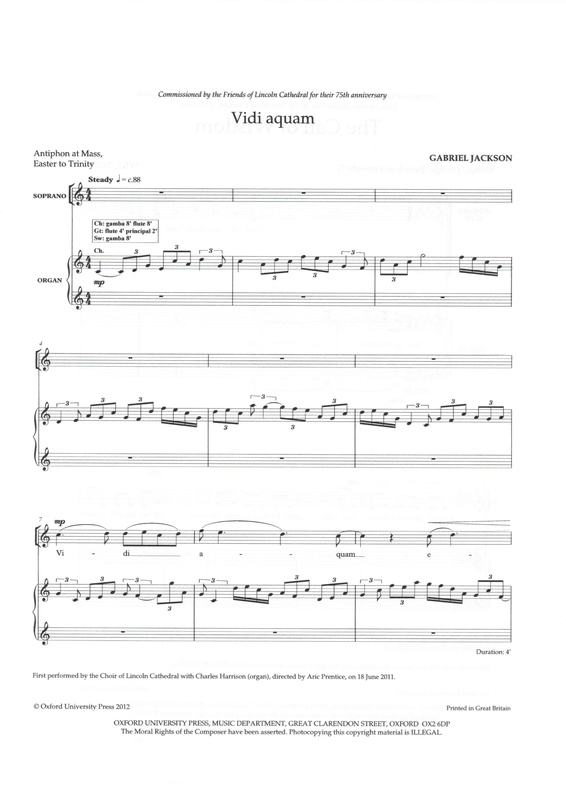 Jackson’s Vidi aquam is for the more advanced vocal group that is able to provide an elegant shape to the melismatic lines, as well as to the piece as a whole.